Twist and Shout is a great easy guitar song that I love teaching to beginners, since it is not that difficult therefore beginner guitarists can pick it up quickly, and at the same time, it improves several guitar techniques. The song uses several basic chords, which you need to learn and also get a hang of changing in between these chords. Next, you’ll learn the strumming pattern the Beatles use, as well as the notes they play before each pattern. This part of the song is good exercise for beginners, since it involves fretting individual notes at first, than going into a chord shape straight away, which really improves muscle memory in your hands and finger coordination. 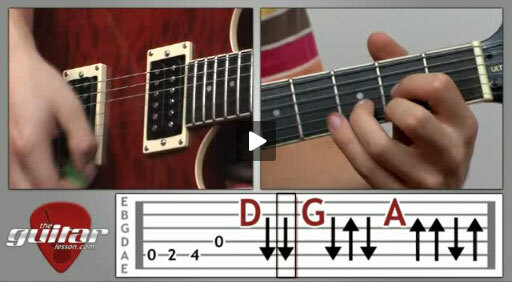 After this, you’ll be doing a bit of double string plucking, which is an important aspect of playing the guitar. All in all, the guitar lesson on Twist and Shout is mainly meant for beginner guitarists, and will advance basic guitar skills that are invaluable in advancing as a guitarist. Twist and Shout was written by Phil Medley and Bert Russell, and originally recorded by the Top Notes. It was covered by numerous artists, including Bon Jovi, Chuck Berry, Bruce Springsteen, but the most famous cover of Twist and Shout, and the subject of our guitar lesson was recorded by The Beatles with John Lennon on lead vocals, and released on their first UK album Please Please Me in 1963. The interesting thing about The Beatles’ recording is that it was recorded in 15 minutes, with John Lennon actually suffering from a cold, that’s why his voice seems so harsh in the song. It is regarded as one of the finest examples of British rock and roll for its vocal performance. Sorry, but you've reached a premium content area. The download of the Twist and Shout tablature file is only available to premium members. Sorry, the same goes for the backing track. To download the backing track to Twist and Shout, please log in and revisit this page.